These days we talk a lot about Responsive Web Design as a way to increase website traffic and customer retention. We found these infographics helpful to visualize the benefits of embracing Responsive Web Design. It’s a fact: the first contact with your customers will surely be when they open your home page. Understanding and mastering responsive web design will ensure their return to become potential customers. We know marketers deal with overbooked schedules! So these infographics should help you get the basics of Responsive Web Design in just a few clicks. This vibrant infographic teaches you what Responsive Web Design is. 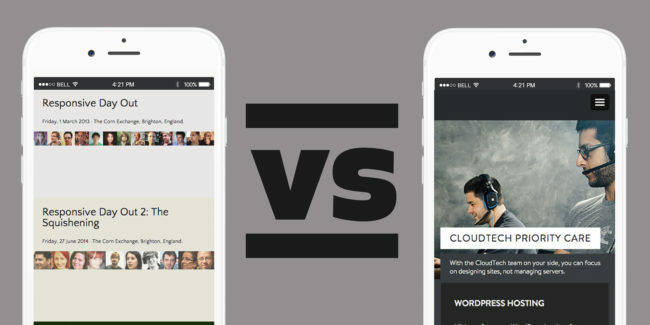 It shows you what a Responsive website is and explains why it’s time to go Responsive. For example, did you know smartphone users check their devices 150 times a day? It even shows why Google recommends you to follow the new industry best practice. This infographic is a must share with your team! 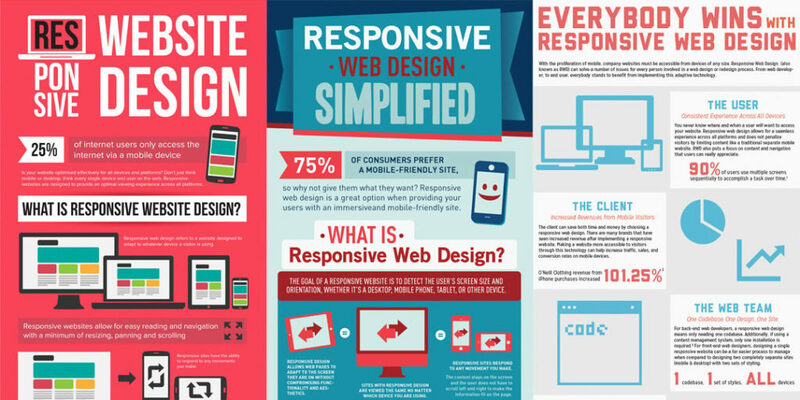 The infographic shows “What is a Responsive Site Made Of?” and compares Mobile versus Responsive websites. 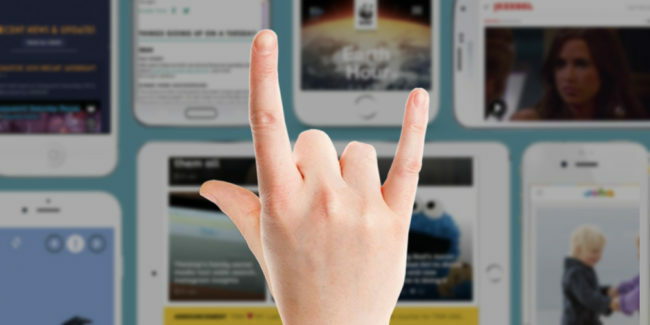 It also shows the positive impacts of Responsive Design on your User Experience. 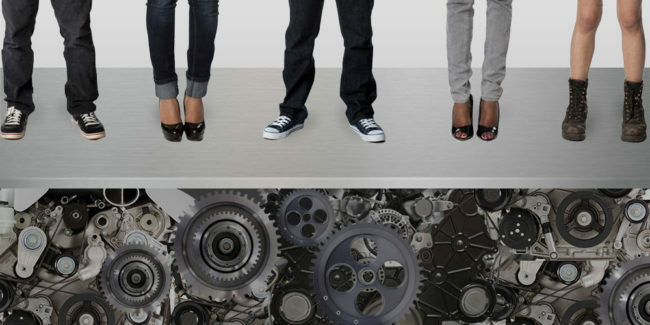 Incorporate these features and start boosting your customer retention! 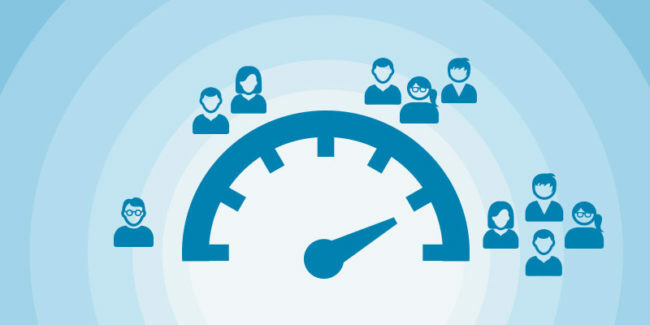 See how RWD benefits not only your company, but your users with this infographic. This quick to read infographic is a great source for statistics to use! We hope these infographics have been informative! More and more customers are browsing on mobile, and it’s time to keep up with their new behaviors. Responsive Web Design is the best way to keep customers engaged with your business and get them coming back for more. 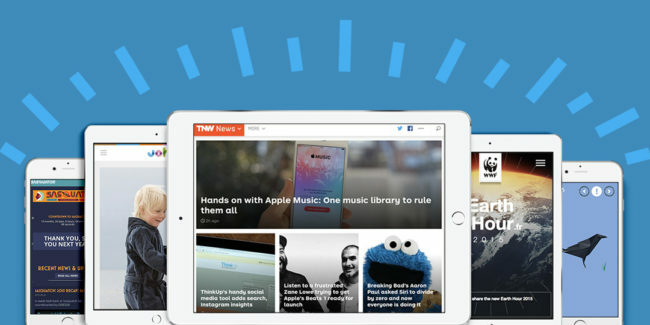 Responsive design is more than just a trend now, it’s a proven web design best practice. Mobile websites gain a boost in search ranking, and that means more traffic from mobile devices.